I have a very active Facebook page – I posted this photo the other day and it got a lot of responses. 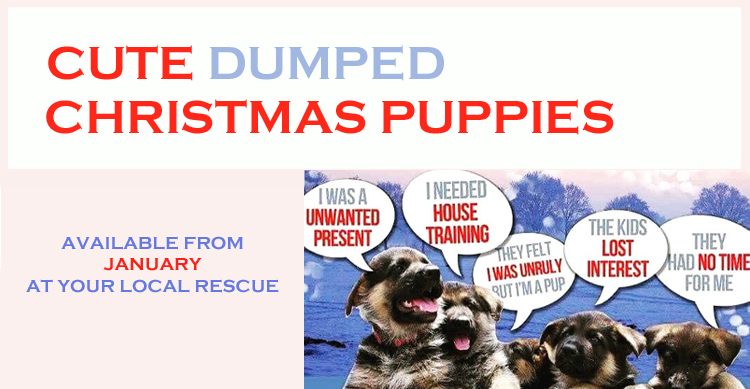 Many people understand that a puppy is for life, not for Christmas. Just in case you are thinking about it, read this first and maybe you’ll think again. Merry Christmas!